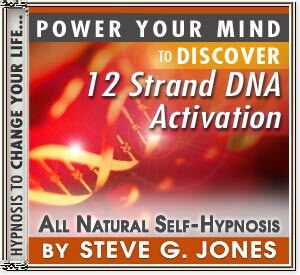 IMPROVE YOUR LIFE AT DNA LEVEL USING HYPNOSIS! By using this powerful hypnotherapeutic recording, you will be able to activate the latent power which resides in all twelve strands of your DNA. If you are reading this, it is my understanding, that you have advanced knowledge about this particular topic yet you may be a novice to the concept of actually successfully activating the twelve strands of your DNA. This hypnotic recording provides a very simple yet effective method by which you can activate the twelve strands of your DNA. You can live your life on your terms and create your own future. One of the advantages to twelve strand DNA activating is the improvement of your attitude, your health, your appearance, and the likelihood of you succeeding in many of your endeavors both physically and spiritually.